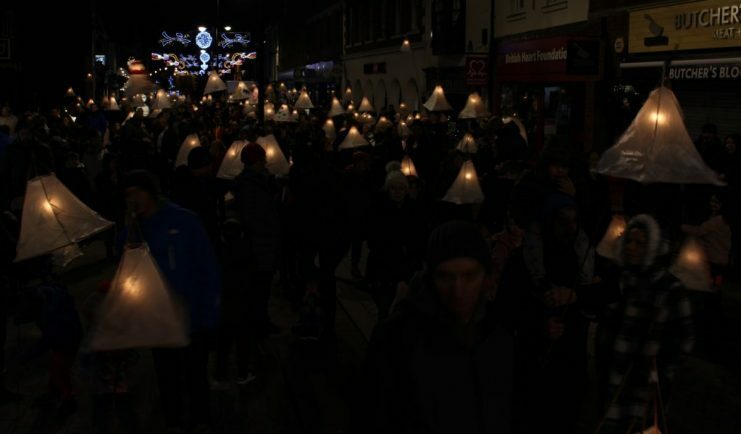 THERE was a magical atmosphere created in the town centre on Sunday evening when the second annual Bromsgrove Festival of Light took place. 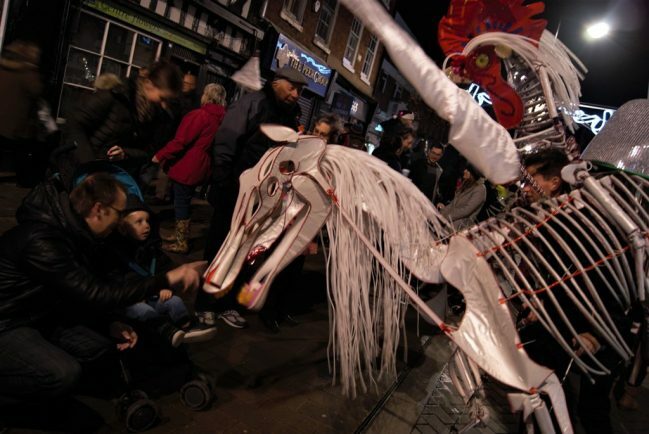 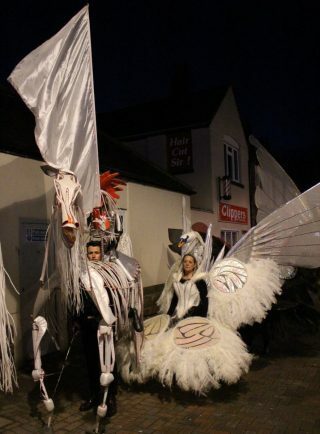 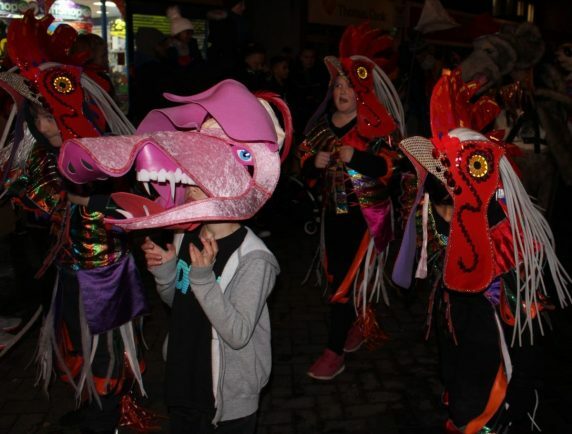 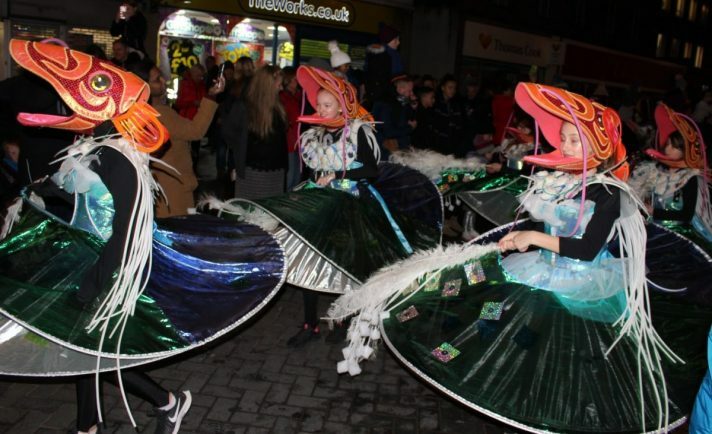 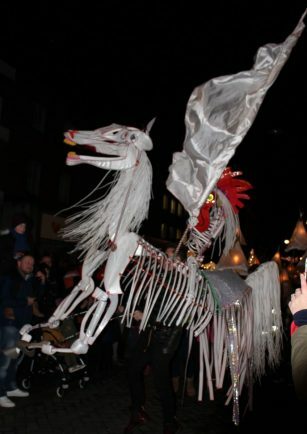 More than 2,000 people came to watch the spectacle organised by Artrix, NWedR and Bromsgrove District Council alongside carnival creators Shademakers, performers and community groups. 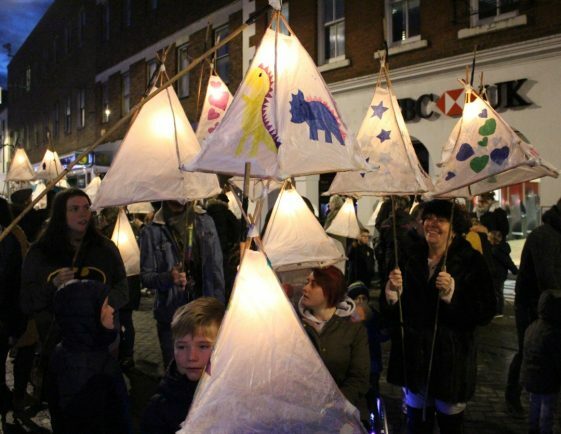 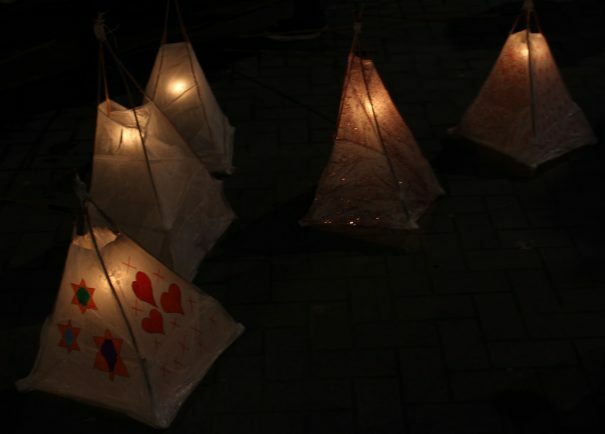 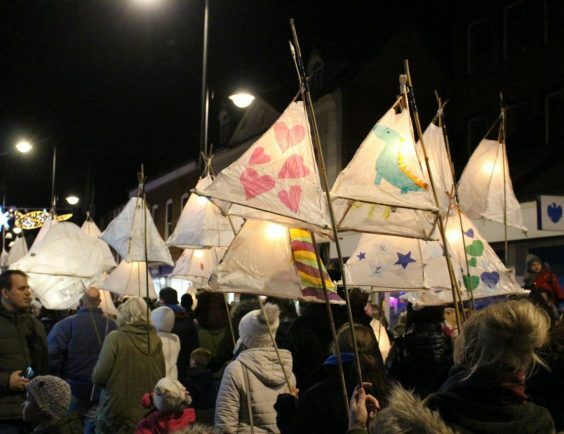 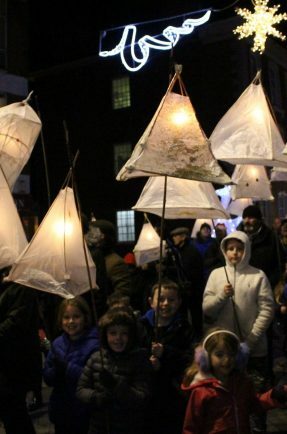 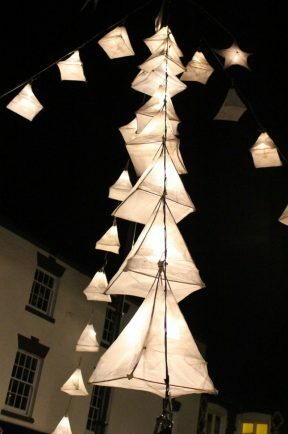 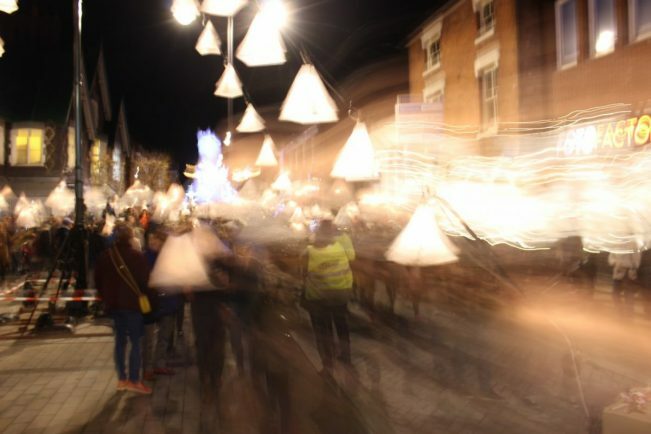 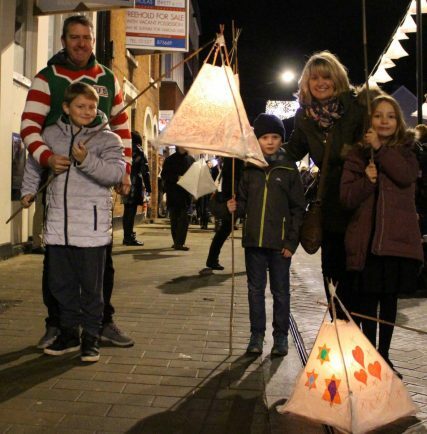 More than 850 beautiful lanterns made at workshops were paraded along the High Street, illuminating the town to celebrate the winter season. There was also the drumming sounds of Bromsgrove Samba band Someone at the Door. 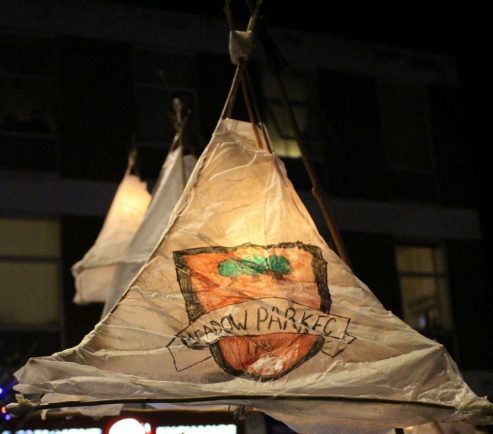 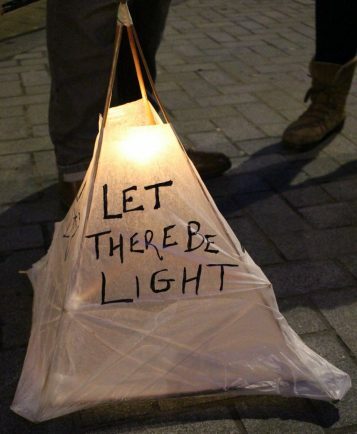 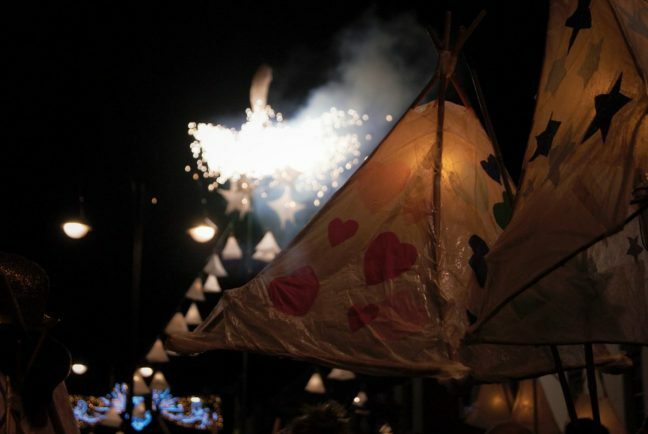 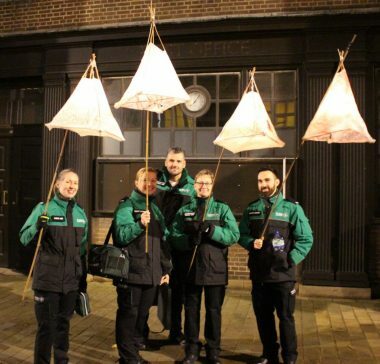 Artrix Associate Artist Kristoffer Huball was the creative force behind The Festival of Light and worked to deliver lantern making workshops with schools, community groups, families and individuals prior to the event. 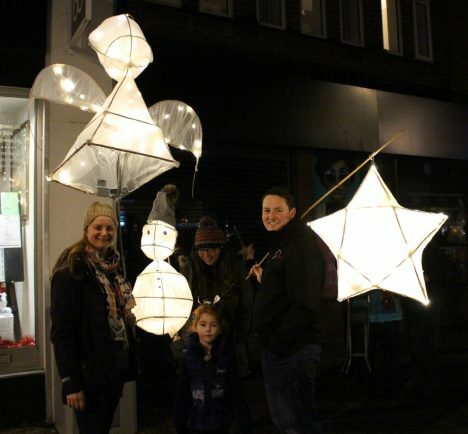 Kristoffer said; “It’s wonderful that the enthusiasm for Bromsgrove’s Festival of Light is growing year-on-year. 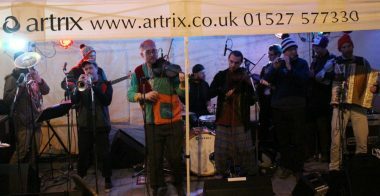 The finale of this year’s Festival of Light saw Birmingham-based Balkan Gypsy band The Destroyers continue the party with their lively set. 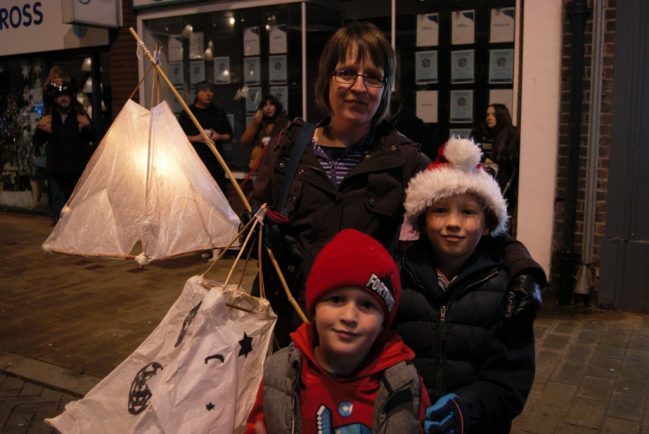 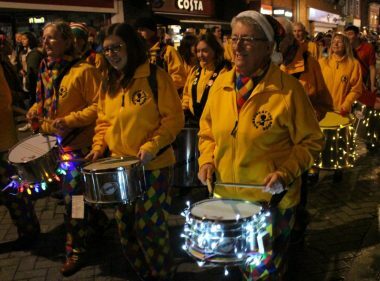 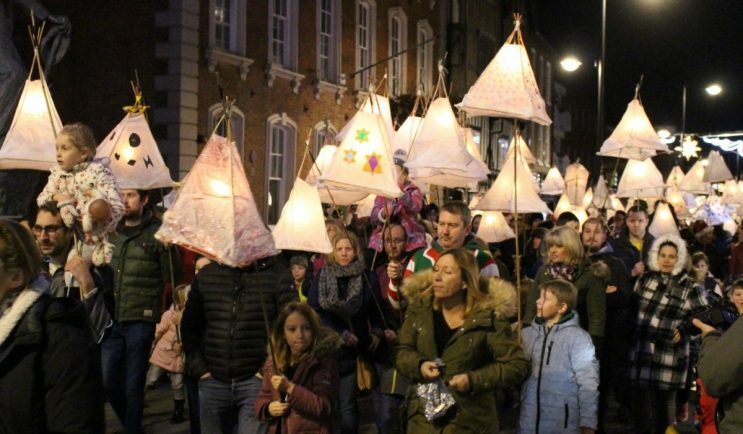 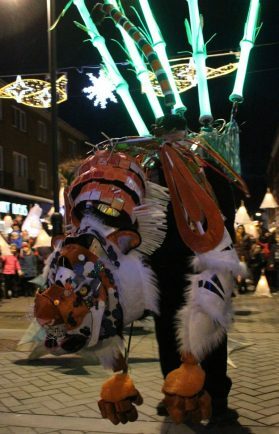 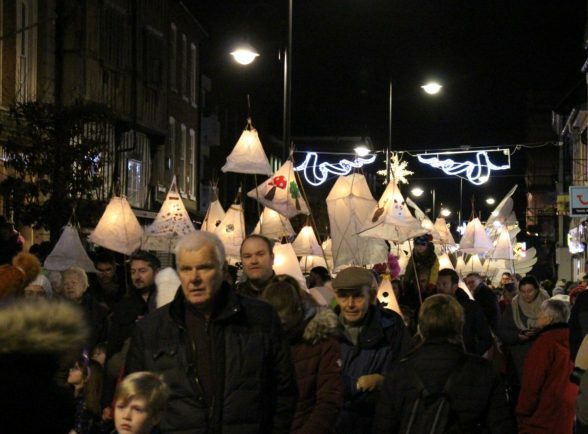 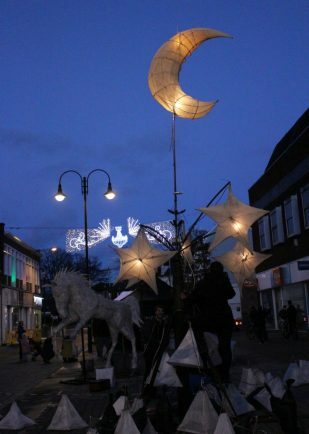 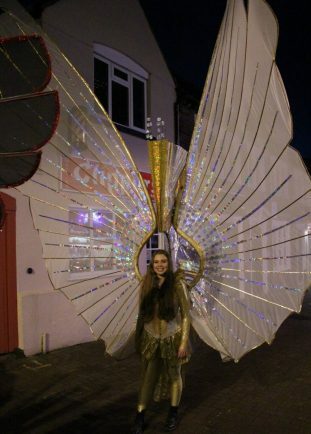 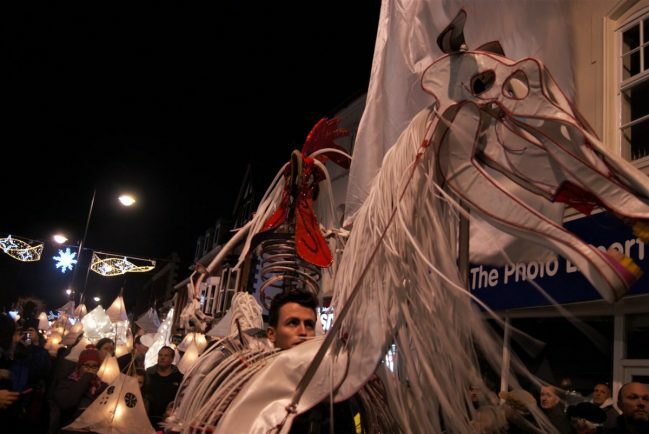 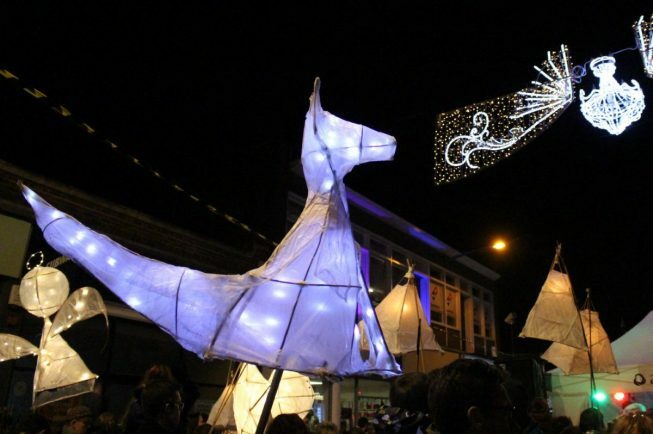 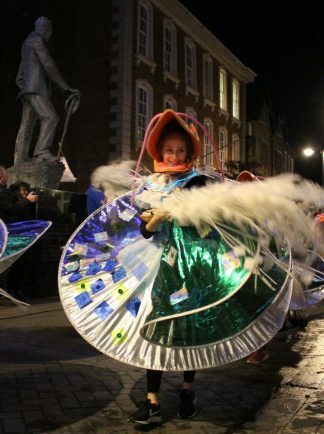 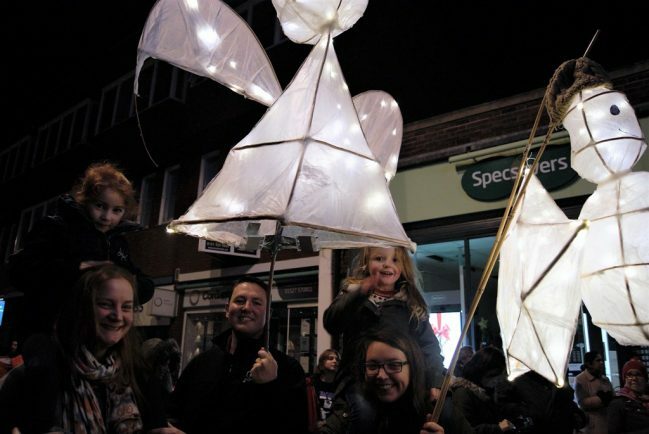 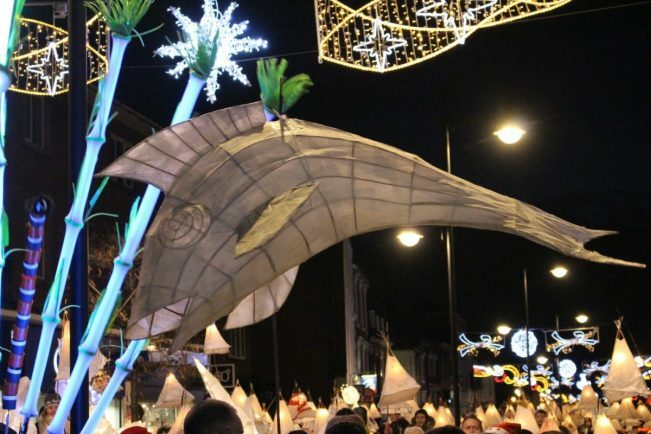 Bromsgrove centres manager Cheryl Welsh, who part-funded the parade, said; “I’m thrilled that this year’s Festival of Light has continued to bring such joy and creativity to Bromsgrove’s Community. 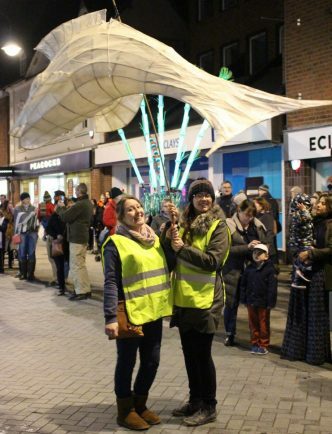 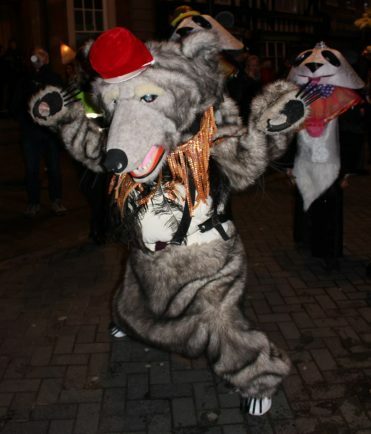 “The town centre was alive with the excitement of everyone who attended.